Which Diet Plan is Best for You In Marin County? You stand on the scale and just can’t deny the fact any longer: “It’s time to lose weight and get into shape.” The problem is finding and applying the best diet plan to help you reach your goals. With so many options on the table, selecting just the right diet plan can be very difficult. In Jonny Bowden’s book Living Low Carb the PhD nutritionist lists 38 (mostly) low carb diets and what they can do for you. Everyone likes choices right? Ha! It’s easy to be confused about which approach to nutrition you should take. Yet, if we allow ourselves to be overwhelmed in choosing one diet or just fail to “take action” on your nutritional education and applying specific principles you are doomed to see no changes in your weight. You have to make an informed decision. The simple truth is there is no diet plan that is the best. 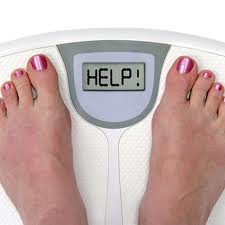 Go on a strict diet plan to drop weight fast and you will soon find your weight bouncing up and down eventually. The problem is most diet plans aren’t realistic for long-term use. While you might lose weight while you’re on them, that weight is likely to come back as soon as you start eating normally (like your old ways) again. Plus, many so-called diet plans neglect proper nutrition. They cut out entire food groups that are essential for the sake of fast losses in weight. Eat whole foods – It is best to buy your groceries and make your meals starting with fresh fruits and vegetables, lean meat and other healthy nutrient dense products. If you have the space…start your own garden. While processed foods might be easier, they often contain chemicals, sweeteners, artificial colors and who knows what else! Freshly prepared meals that start with healthy ingredients are better for weight loss and they’re better for fueling your body. Read labels – It’s not always possible to eat whole foods at every single meal. When this is the case, select processed or pre-packaged products with care. Read the labels and look for items that are as close to natural as you can find. If you can’t pronounce it…you probably should look for something that you can accurately identify. Do your research to discover how clever and tricky the food companies can be when labeling your food. Also look at the serving size compared to the amount of calories in a single serving. Go for balance – Make sure meals contain foods that truly nourish and fuel your body. Don’t be afraid and fear fats…fats do not make you fat. An over consumption of fats make you fat. You will have hunger pains and most likely crave carbohydrates if your fat consumption is too low. Strike a balance with fruits and veggies, legumes, lean meat, chicken, fish, low-fat dairy and other beneficial foods. Eat less, but more often – Smaller, more frequent meals can help greatly with weight loss. Your stomach will shrink…it’s just a holding facility. Shoot for smaller portions, but try to eat three meals a day and at least two, possibly three healthy snacks. It’s important not to slow down your metabolism because doing so can foster weight gain rather than loss. Remember, to burn more of your fat you want to “stoke” your metabolism which means adding more definition to your body. Avoid temptations – Uncover your unhealthy habits and take steps to overcome them. If you can’t trust yourself with certain “trigger foods” don’t have them around the house. If you can’t steer clear of ice cream after dinner, try finding a healthier, lower-calorie option. Make one improvement at a time…don’t try to change everything at once. It’s okay to keep “treats” in your diet when you’re losing weight, but make sure they really are treats. No one really needs ice cream seven nights a week. Losing weight and keeping it off is a journey. Fad diet plans just aren’t sustainable. To get the results you want, learn to make wiser choices every day…keep progressing in your knowledge and don’t be afraid to ask for help. For more ideas on creating your own “diet plan,” talk with a qualified health and fitness educator. Chances are they have some great tips and tricks that can help you develop your own diet that’s tasty, healthy and fulfilling. If you’re ready, you can reach Mr. Spongberg at (415) 322-7033 or visit his website at www.PersonalTrainingInMarin.com where you can download your free copy of his special health and fitness report, The Truth About Losing Weight.